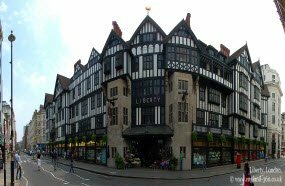 Liberty department store sells luxury goods, including women's, men's and children's fashion, exquisite cosmetics and fragrances, various kinds of jewellery and accessories, homeware, furniture, stationery and gifts, and is known for its floral and vivid prints. 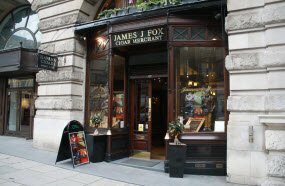 Apart from being a shop it is also like a museum. The wooden decorations inside the building are made of the old ships and present the spirit of the 19th century. 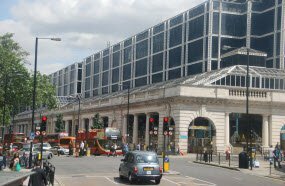 Situated right above the Victoria railway station. Has WI-FI and special places for charging your devices while you’re waiting for a train. Search for promotions, events and discounts on the website. This is a luxury place with multiple stores. It has served as a place for shopping and the center of commerce since the 16th century. 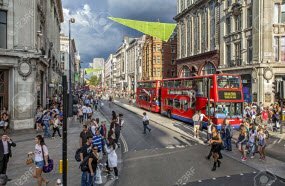 This is a central shopping street in London with a variety of shops, boutiques and restaurants. There are two major discount periods: in June and in December, but every shop also has its own small sales. 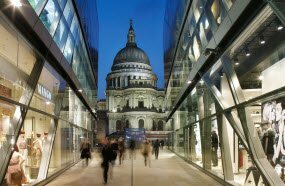 Situated in the historic center of the city so after shopping you can enyoy a spectacular view of St. Paul’s Cathedral from the top of the mall. Features lots of brand shops for every taste and budget. There is also a Jamie Oliver’s restaurant inside. This shopping mall united different international, brand and independent label stores under the same roof as well as dining places. The main feature of St. Martin’s is an open-air courtyard. 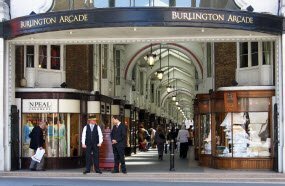 Burlington Arcade is one of the most popular shopping destinations. It is a traditional arcade with brand shops and unforgettable atmosphere. 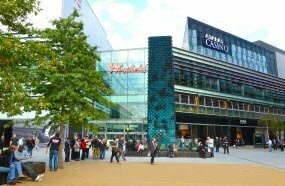 Westfield Stratford City is the biggest urban shopping mall in the whole Europe. It has more than 250 shops, 75 dining spots and entertainment to any taste. Service includes free Wi-Fi, possibility to book a motorized scooter, to leave your bags and relax without heavy purchases and to use prayer rooms of your faith. You can find different surprising promotions and generous discounts in the Offers section. Westfield Stratford City also offers Gift cards that can be used in almost all shops. Tax free shopping is available. 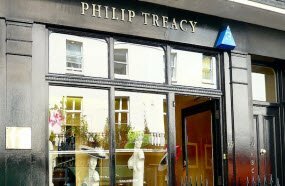 Philip Treacy is one of the world’s well-known designers and number 1 hat designer. He creates marvellous unique hats from different kinds of materials like felt, tissue, silk, wood, plastic etc. Among his clients are Givenchy, Chanel and other eminent fashion houses, Sarah Jessica Parker, Lady Gaga, Catherine Middleton and many others. Every woman can find a hat to her taste in this boutique or even order something very special. James J. Cigars was founded in 1881 in Dublin. 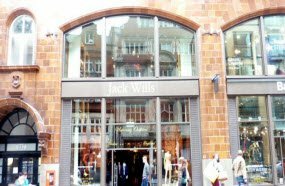 The shop in London was opened in 1947 and quickly gained a huge popularity. In 1992 J.Fox acquired the business of Robert Lewis and united most famous names of tobacco sellers. 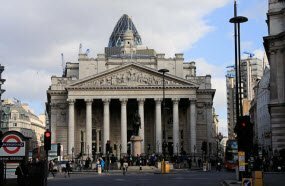 Among its there have been Oscar Wilde, Sir Winston Churchill, British and Foreign Royal families and the leading lights of film, the stage, sport, music, literature, and mass media. Today you can find best tobacco and cigarettes from all over the world and well as unique blends in the shop. The shop is the exception for the smoking ban, so that you can try different cigars inside, drink a cup of coffee and get acquainted with the elite. Great Britain is famous for its Agent 007 and Sherlock Holmes. 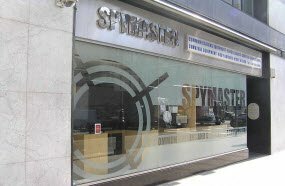 No wonder that you can find a Spy Shop here. It is full of spy gadgets that are not only cool but can also be useful during the exam, to protect your house or to find out more about your friends. Or maybe business partners? Just imagine the adapter or extender with the sim card to bug the room, glasses or watch with the full HD camera or bug tracker to protect your privacy.